Such a redemption is the basis for our whole church life with its organization of time around the liturgical cycles of feasts and fasts, of saints and holy events, of celebrations and commemorations of deliverance by the hand of almighty God. While these liturgical cycles are more than adequate to feed and order the spiritual life, it is important similarly to feed the soul with an equally rich and diverse sustenance of cultural and seasonal celebrations. One unfortunate result of the industrial revolution is that time, in our modern context, has been reduced to a mechanistic means toward the end of production. People feel themselves merely as cogs within the wheel, and holidays are turned into nothing more than time off from work, a brief respite in the otherwise relentless drive to produce more and more stuff. Like the faulty God of the gaps conception in physics, holidays are seen as filling holes left in time which has been unassigned to work. Forgetting the reason for any season (let alone Christmas), too many spend whatever little time they do have off fretting about the work load once they finally get back behind the desk again. 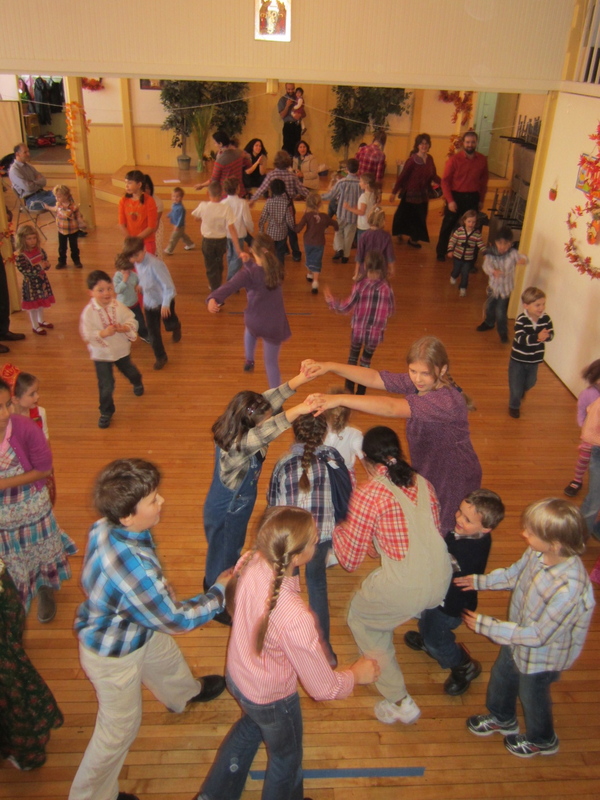 Today the school where my children attend and where I taught for a decade as an instructor enacts an annual celebration of the fall harvest that extends back for at least 10 years. It is our little way of remembering the relationship or connection between the food we eat, the land which produced it, and the God who brings all of the increase. We want not to take for granted that the shelves at the local grocery will always be full and that we will always have the means to acquire their contents. I remember always being surprised by Thanksgiving in November, as if all of a sudden, it is time to pause and give thanks to God for all the blessings received. This Harvest Festival that we celebrate in late October every year reminds us that this great American holiday in November actually has a fore-feast that extends back a whole month early. Connecting seasons in this way means that our own holidays are not just breaks or gaps in our “normal” life of work, but the proper mode in which we find our true life and form our souls for heaven. 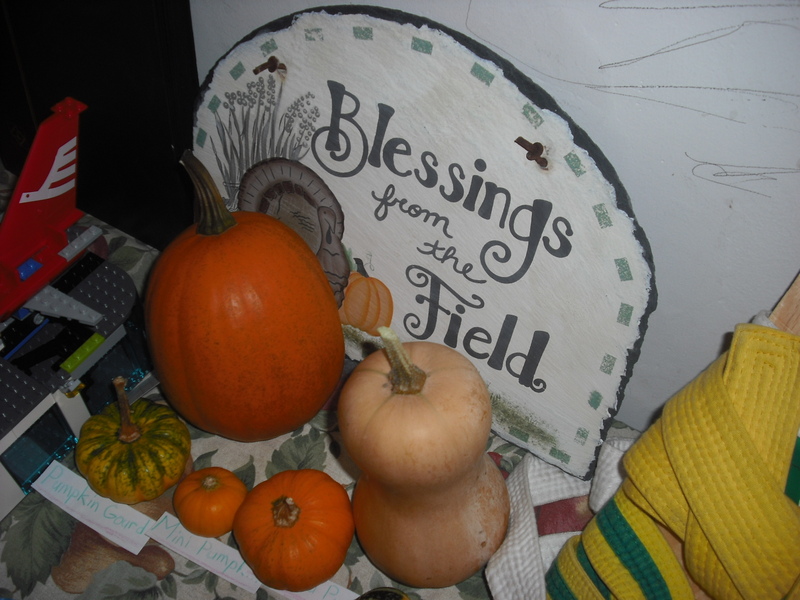 This entry was posted in Trips Local to Boston and tagged Harvest, redeeming time, St. Herman Christian School, Thanksgiving by Mendicant Monk. Bookmark the permalink. Аарон, вы молодцы! Праздник урожая действительно нужен. И детям наверное он понравился. Я сегодня прочитала твой блог, ты пишешь очень интересно!